"Horror Trilogy packs in a lot of spooky ambience in one small package"
I have released the 3 separate tracks of the "Horror Trilogy" at Bandcamp and have posted them here, they are also available at iTunes. 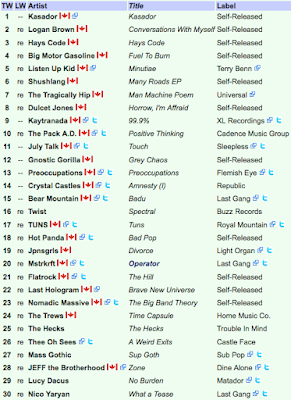 Gravedigger's Local 16 Review - "Horror, I'm Afraid"
"I’m already looking forward to More Horror, I’m Afraid and I’m sure anyone who listens to this will feel the same way"
Two Months in the Charts at CJAI 92.1 Radio! 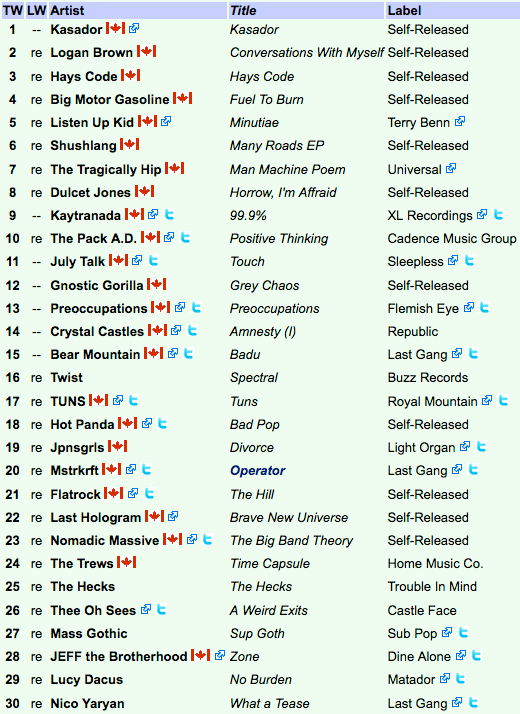 "Horror, I'm Afraid" has been charting for two months now, here's the latest positions, Dulcet Jones is right behind the Tragically Hip! For those who choose to shop for music at alternative sites "Horror, I'm Afraid" is available now at Bandcamp, click the banner on the left to hear all of the songs. It should be up at iTunes sometime in the next few weeks.